The 6210 Series brings advanced folding & inserting technology and flexibility to the office environment. A large, color touchscreen control panel with wizard job feature easily guides operators through setup and operation. AutoSetTM allows for one-touch setup of new jobs by automatically measuring paper lengths, envelope sizes and fold lengths. Recurring and frequent jobs run in AutoSetTM can also be stored as one of 15 jobs accessed with the push of a button. 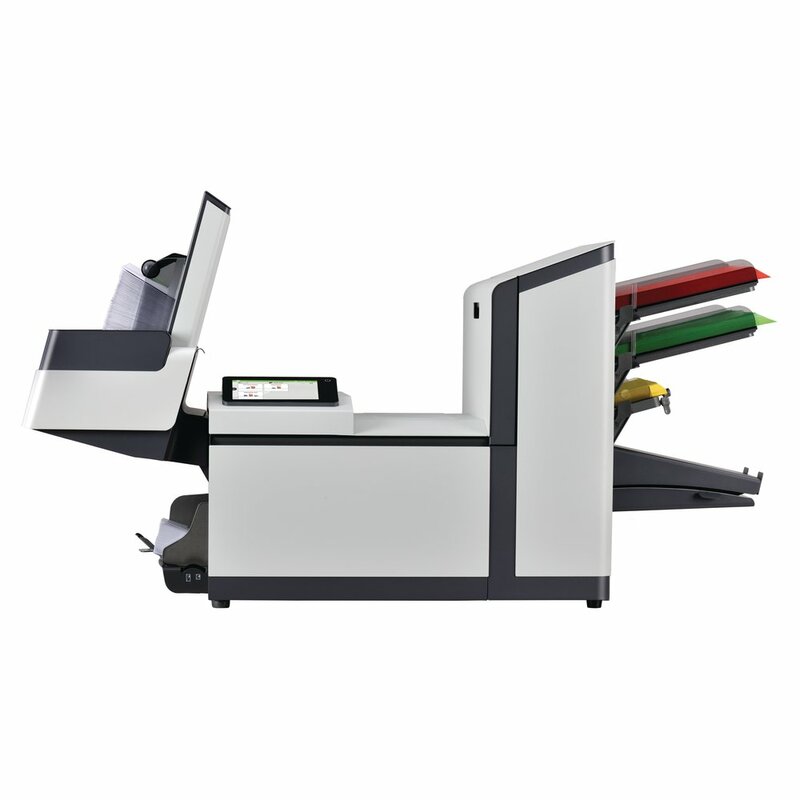 The powerful folding system enables the 6210 Series to accurately fold up to five sheets of paper at the same time.